National General Insurance is expanding in Winston-Salem. NatGen will be hiring 30+ Inside Sales Agents at their Winston-Salem main office. 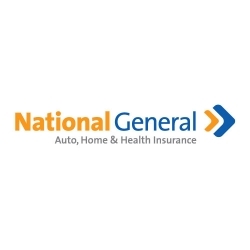 Winston-Salem, NC, February 21, 2019 --(PR.com)-- National General Insurance is having an open house and hiring 30+ call center agents at their office in Winston-Salem, NC. The hiring event will be held on Monday, February 25th from 9am to 6pm; the event will be held at the DoubleTree Hotel located at 5790 University Pkwy, Winston-Salem, NC 27105. The position being interviewed for is that of an Inside Sales Agent. Inside Sales Agents at National General Insurance work in a call-center environment, taking inbound calls from eager clients whom are looking for an insurance quote. Job interviews will be conducted on the spot. Prospective candidates should bring three copies of their resume and dress professionally. For more information about this potion, visit the National General Insurance Careers website.